Detective Bobbie Gentry has one objective: to stop the serial killer who robbed her of her husband, her child and her life. Nick Shade understands Bobbie's painand her desire for vengeance. He's on a mission of his own, and the murderer known as the Storyteller is next on his list. Nick knows that the best way to find his target is to stick close to Bobbie. But as she becomes more and more reckless in her attempts to lure the Storyteller out of hiding, he has to make a choice. Will he protect her from herself even if it means passing up the chance to take out one more monster? As for Bobbie, she's forced to decide just how much she can trust this stranger who knows so much about her. And both of them are about to learn whether or not two broken people can save each other. I am very much on the fence about this book. I ended up absolutely loving it but the first two chapters I was totally lost. If I hadn't been reading it for a review, I would have given up at that point since one doesn't expect to be lost when you start reading the first book in a series. I discovered at the end of the book that there was a prequel but I don't feel that those should be required reading before you start a series. Once you get past the first two chapters, you are given a chance to really get to know and care about the characters. 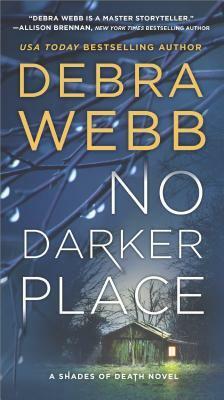 At that point, NO DARKER PLACE turned into a really good thriller. Nick Shade fascinated me and I will definitely pick up more of the series. 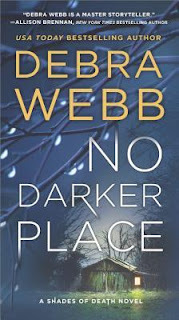 So when it comes down to it, I would recommend NO DARKER PLACE but be prepared for the first couple chapters to be a waste of time. It really does get better after that.